Hi, everyone! It's Sarah back today with another TN challenge. Today's challenge is to use a rainbow or multi-colored color scheme. 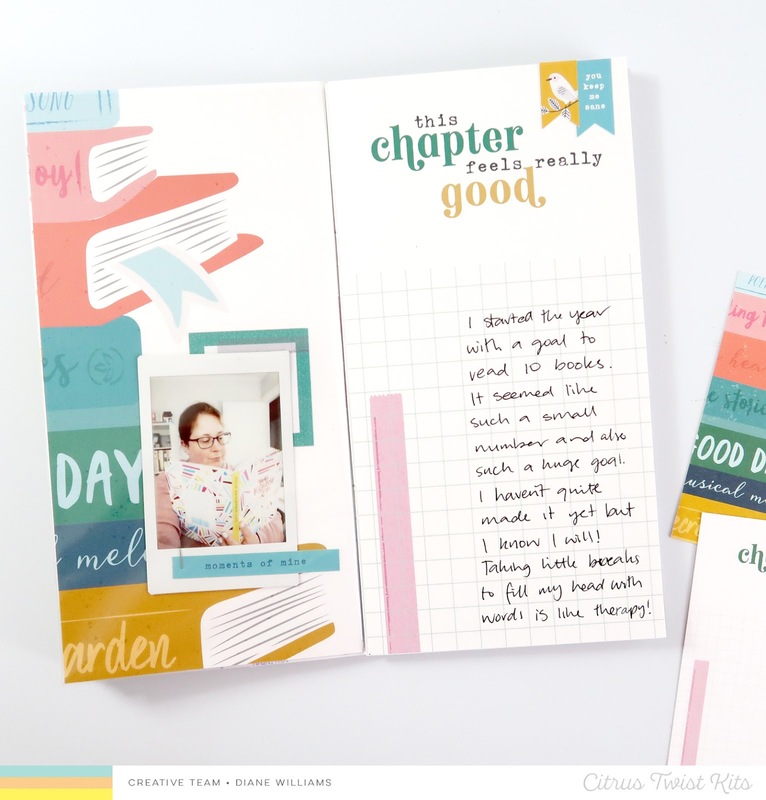 The new "Sunshine in my Soul" kit has the most gorgeous colors in it, which makes it easy to create a rainbow color scheme in any of your projects. I will admit that I typically stick with a 3 or 4 color palette, so this was a fun challenge for me too! 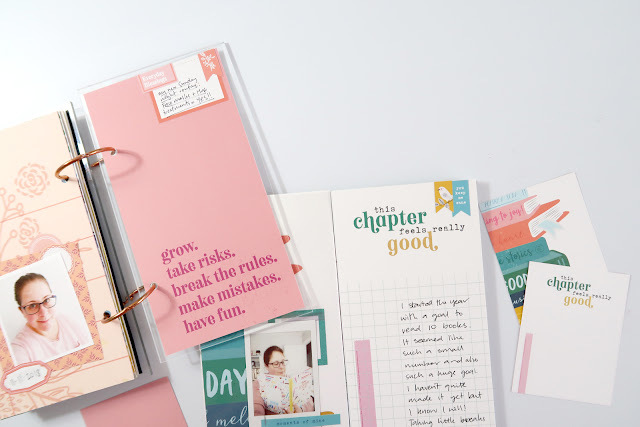 I love how this turned out, and this pop of color in my notebook makes me so happy. 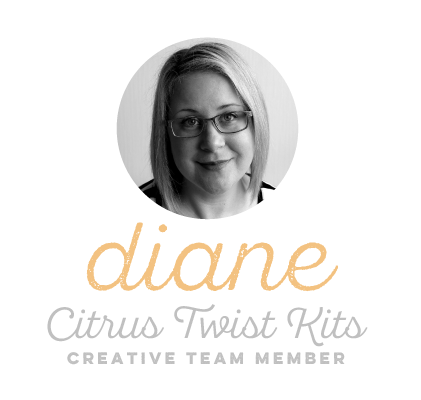 If you're not used to using multiple colors in a layout, I recommend starting with a black and white photo. 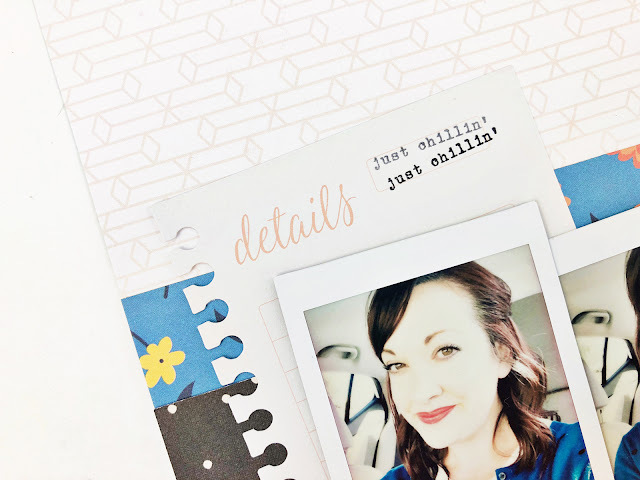 Not only will your photo pop off the page since its the only neutral piece, it will also make it much easier to coordinate all of the other elements. 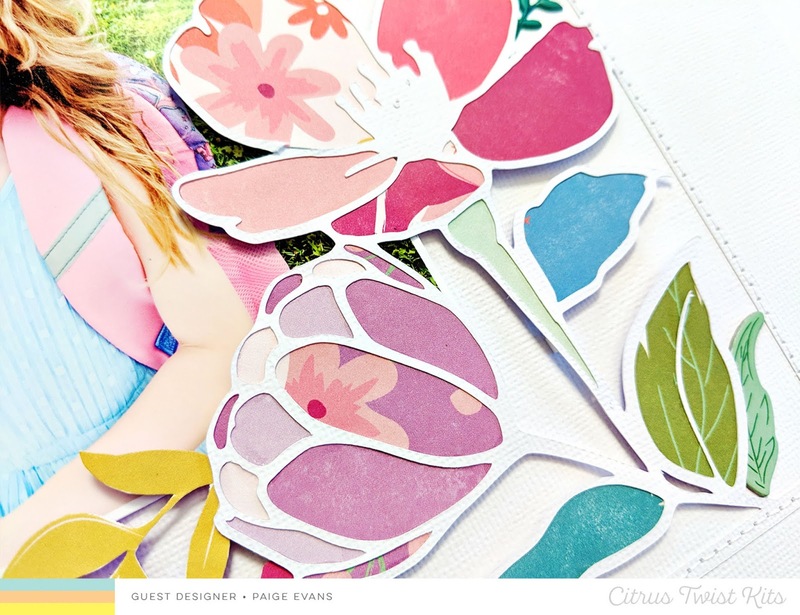 For the left side of my layout I used a paper from the Paige Taylor Evans "Whimsical" line as my background. I cut the inside out of a couple of the frames using my exacto knife so I could bring a little pop of white to that size. That white space also gave me some room to add my title. I balanced this layout out by adding lots of color to the right side of my layout, while keeping the background white. By keeping the background white, it allowed for the page to still be full without being overwhelmed. To finish this layout off I added some embellishments here and there to make things even more fun and colorful. 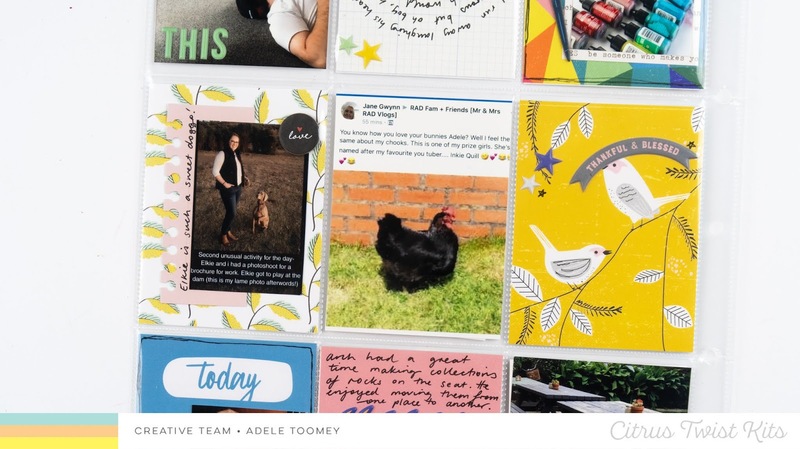 Hi dear scrappy friends! Anna here with you today and I'm so excited to share with you another happy page made with the fabulous CTK November Sunshine In My Soul kits. I mostly scrap in 12x12 format when comes to layouts but lately I've started to use various formats. That keeps me "on my toes" I think, lol! This time I've used the 6x8 size, inspired by two of my role models Emma and Trina. 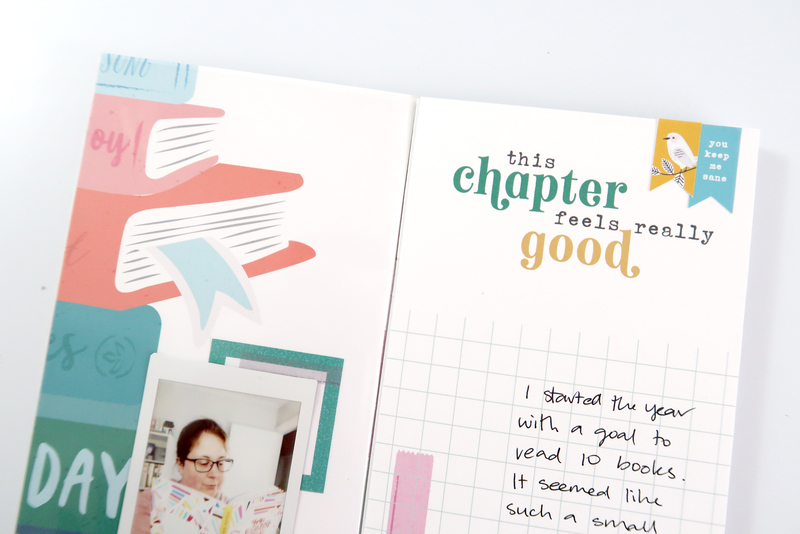 It's quite challenging with the small area but I do really like that all the embellishments seems so big and I love the impact it gives to my page. So don't be affraid of using another format than you usually does, sometimes it gives you a eureka moment in your creativity. 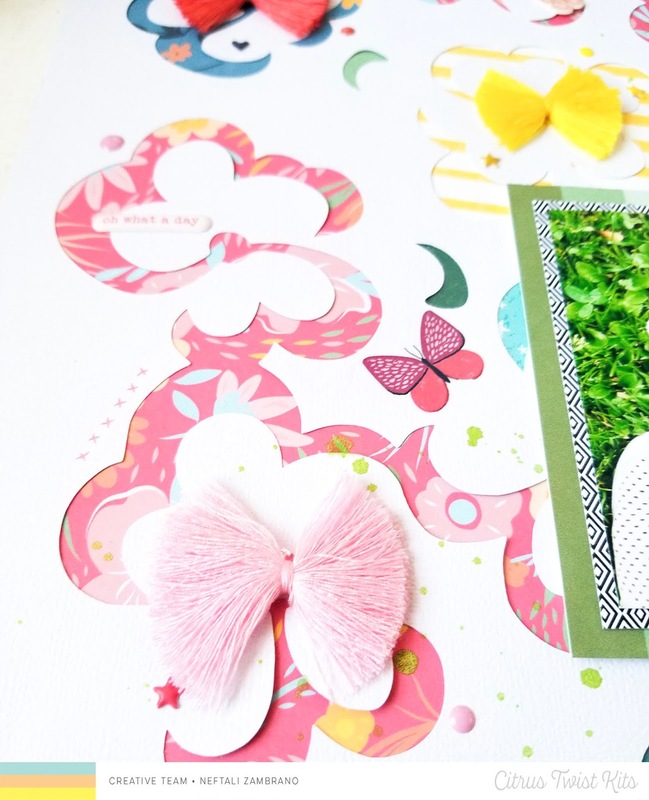 Enough babbling, here's what I came up with using the November Scrapbook kit and the lovely Embellishment kit as well. 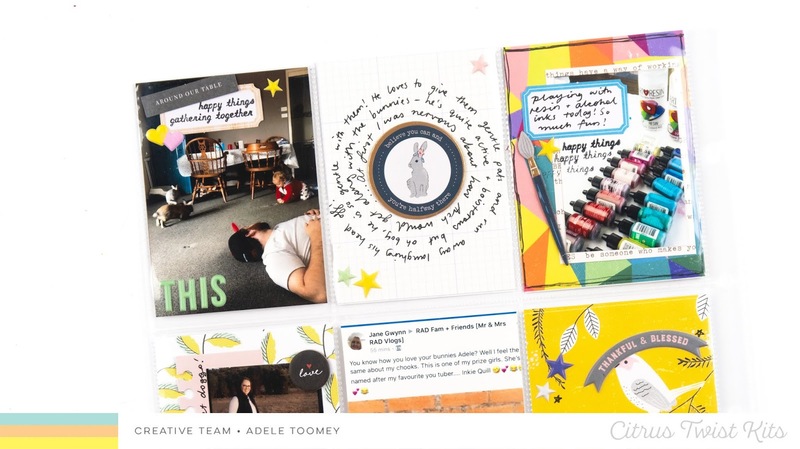 And, I almost forgot to tell that even my design is a little bit inspired by one of Emma's pages, you find it here :) thanks Em! I had so much fun making this layout an I really hope it provided some new inspiration. Be sure to have a look at my lovely teammates gorgeous creations as well. 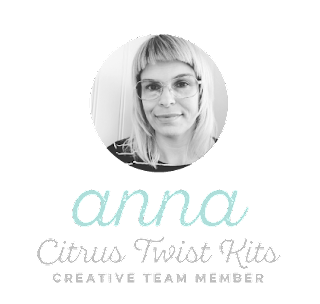 They have totally rocked this months kits (actually they always does). 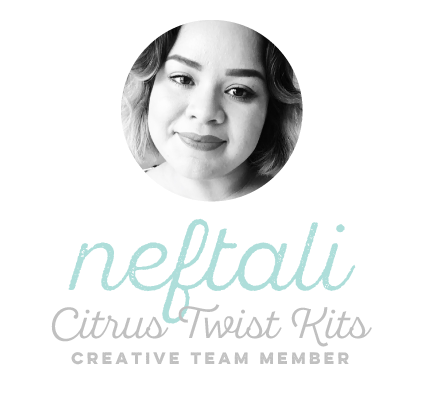 Needing some of the kits or maybe a subscription, hop on over here for more details. Hey there! 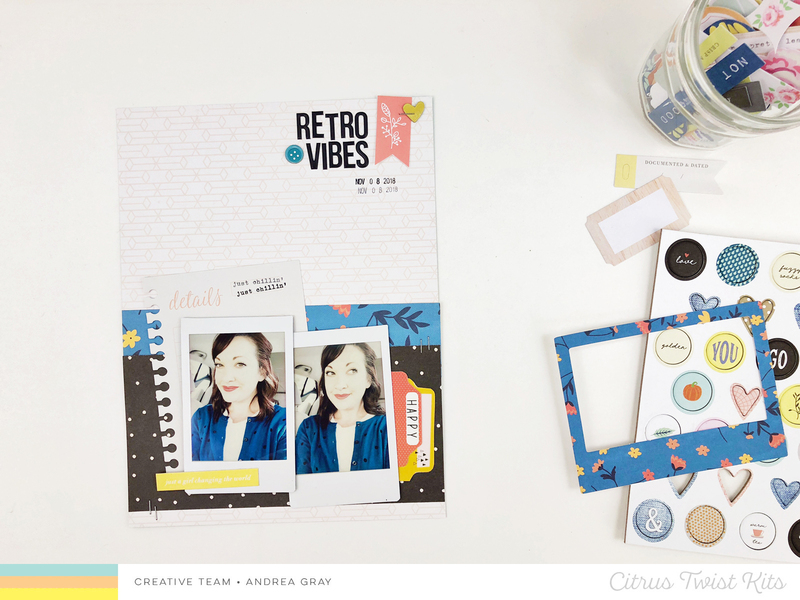 today I am sharing a 6x8 layout using inspiration from one of the recent sketches! I always love a good starting point and then end up creating something within my own style. I began by selecting papers that matched my photos and provided contrast. The foundation of the design would be patterned paper and since I would be layering them, I wanted a contrasting pattern. The blue floral and black with spots was perfect! Also, I pulled the yellow and coral colors from the patterned paper using two layered tabs to the right side. 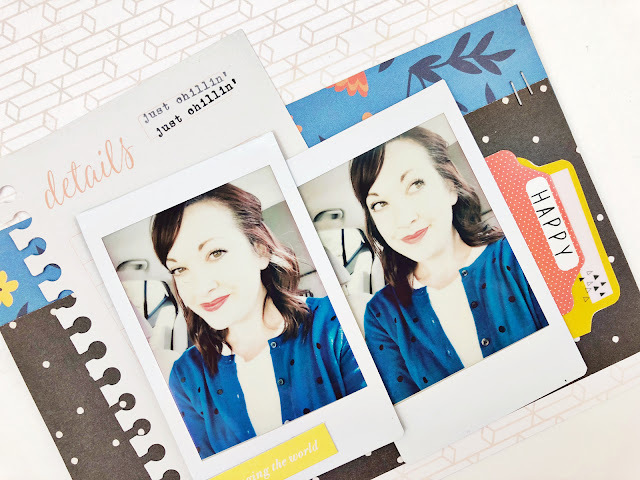 Using 2 photos can be so fun, but I wanted just 1 to have a bit more focus than the two of them together so I layered a die cut card behind the left one so it popped off the background papers. Adding the stamped sentiment always provides that finishing touch! To complete the typical design triangle, I added some fun elements to the top! A cool title using puffy alphas, a flag from the digital download, a button, a stapled heart, and a stamped date. These kinds of clusters are my jam! There you have it, friends! A super easy layout that uses lots of product in a small space! I hope you've found a little piece of inspiration today! 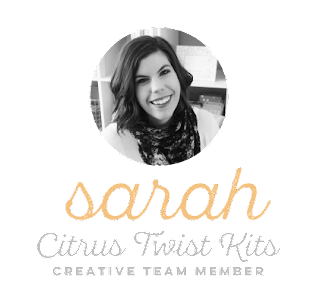 Be sure to scroll around to find more amazing ideas from the rest of the Creative Team! Hi Guys! I LOVE all the digitals in the Citrus Twist shop and wanted to show you how easy it is to create your own TN sized pages using the digital journal cards. 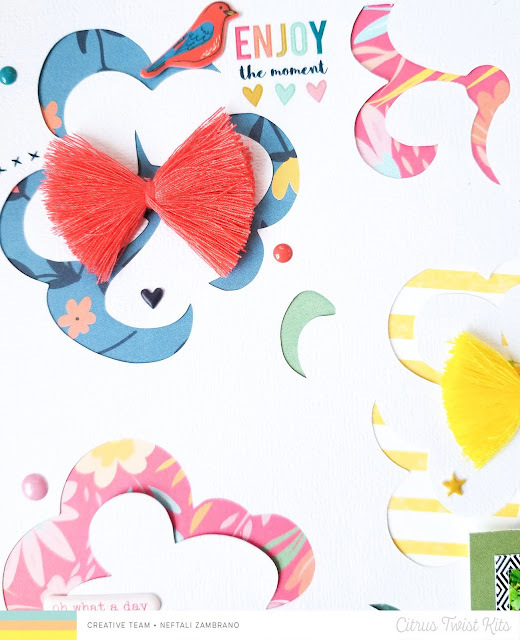 Plus, how to create your own stickers using the FREE cut apart files! 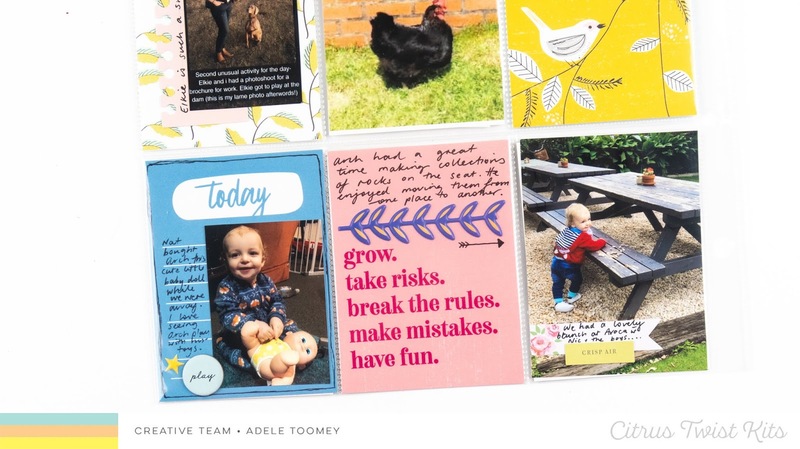 By simply opening the PDF in Photoshop and resizing the digital cards to 8.25 x 4.25, you can recreate your favourite cards into TN pages in minutes. Some cards can be printed as si, and some need a tiny bit of fangling to make sure that backgrounds and patterns reach all the way to the top of the page, without cutting off any text or design elements you love. 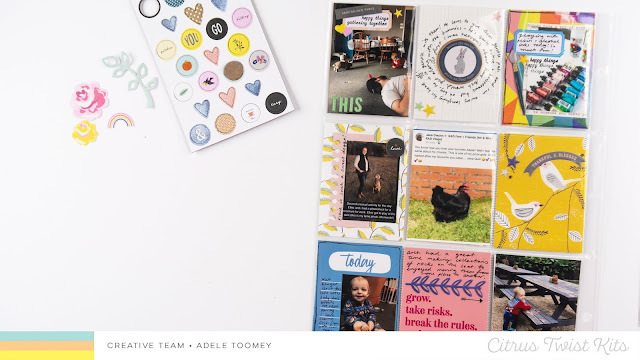 Once you've printed your TN pages and created your stickers, pages come together in no time with a photo and some journalling. Couldn't be easier! Let me know if you have any questions and don't forget to post your layouts in the Facebook Fan Page so we can all see! 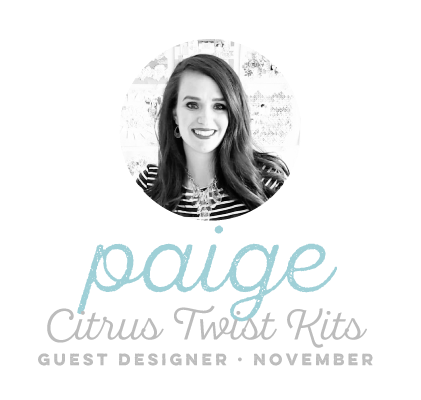 Paige Evans here to share another layout created with the November Sunshine in My Soul kits! 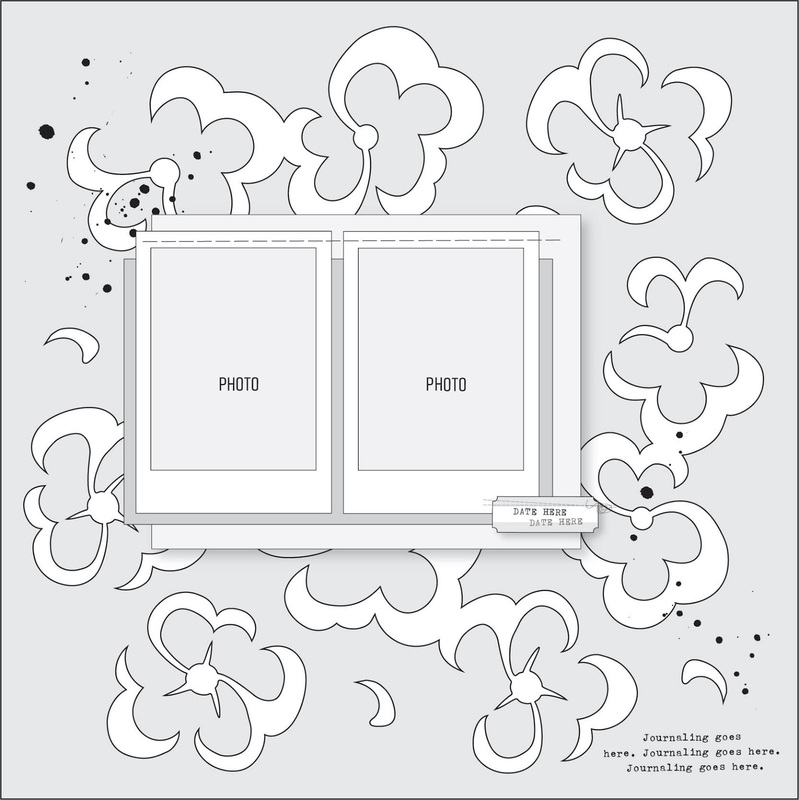 I started with one of the exclusive cut files - the beautiful flower frame. 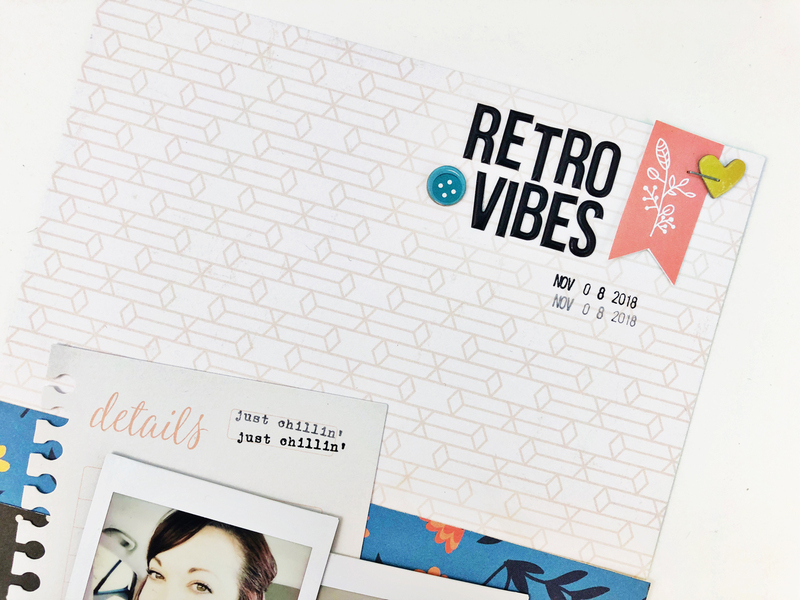 I cut it from the white textured cardstock and then spent some time backing all of the open spaces with the different colors found on the hexagon patterned paper. Then I placed dimensional adhesive all on the backside and stuck it onto another piece of white cardstock for the background. I used my sewing machine to stitch around the frame edges. I placed a photo inside the frame. 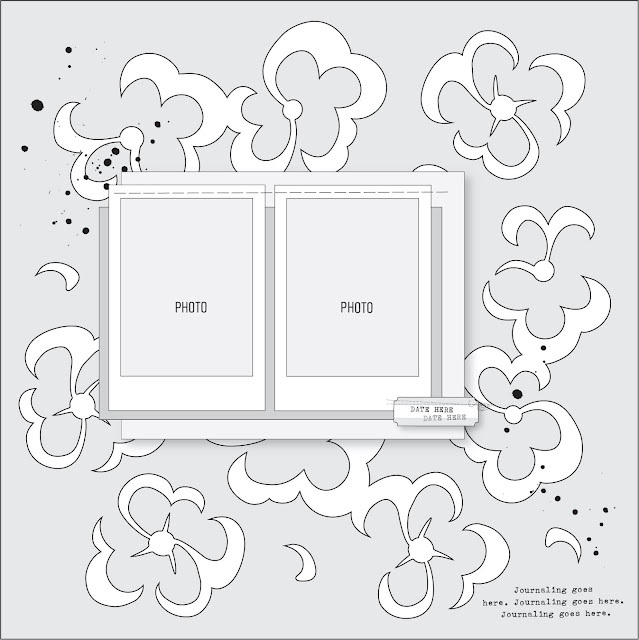 Next I fussy cut lots of flowers and leaves from the floral paper and tucked them in and around the cut file flowers. I embellished further with puffy and chipboard stickers inside the frame. Around the outer frame edges I used the puffy alphabet stickers to create three words and then wrote journaling above the top edge. Thank you so much for joining me today! 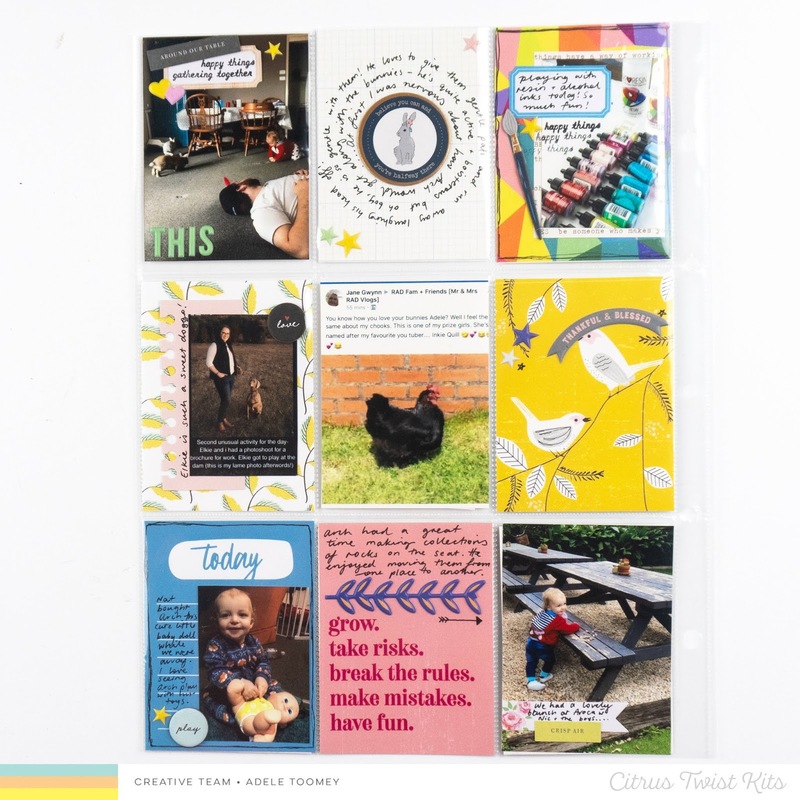 I have loved seeing your creations made with the November Sunshine in My Soul kits that include lots of the Whimsical collection! 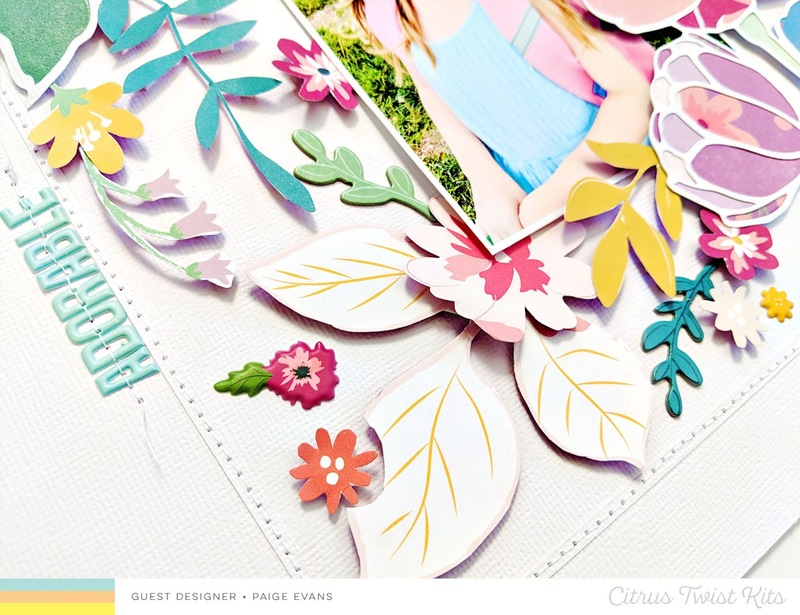 I decided to cut the Floral Garden cut file straight on to my 12x12 white cardstock background and use a mix of the Paige Evans Whimsical collection papers from the Scrapbook Kit and Pocket Life exclusive 6x8 papers. I loved the colors of the exclusive papers and how these two paper collections mix so well! I used two bright photographs of a spring walk around a park in my neighborhood from earlier this year since the colors popped well with the rest of the colors of my background. I then went embellishment crazy because, well, who wouldn’t go Embellishment crazy with their Paige Evans supplies?! Am I right? I used the puffy stickers, the rub-ons, and the enamel dots, and the ephemera pieces. You might also notice that I brought in last month’s Maggie Holmes Willow Lane Adhesive Thread bows. They fit perfectly and matched my colors and design. I was so excited I still had these sitting at my desk. Which is a wonderful reminder that we could all mix our newer kits with missed (or hoarded) treasures from previous months kits. I used the tone on tone technique that I love seeing Paige use in her projects! It’s always fun technique of her I like to scrap lift. Can you tell I’ve got a major scrappy admiration of her style? Her talent is one who inspires many of us. 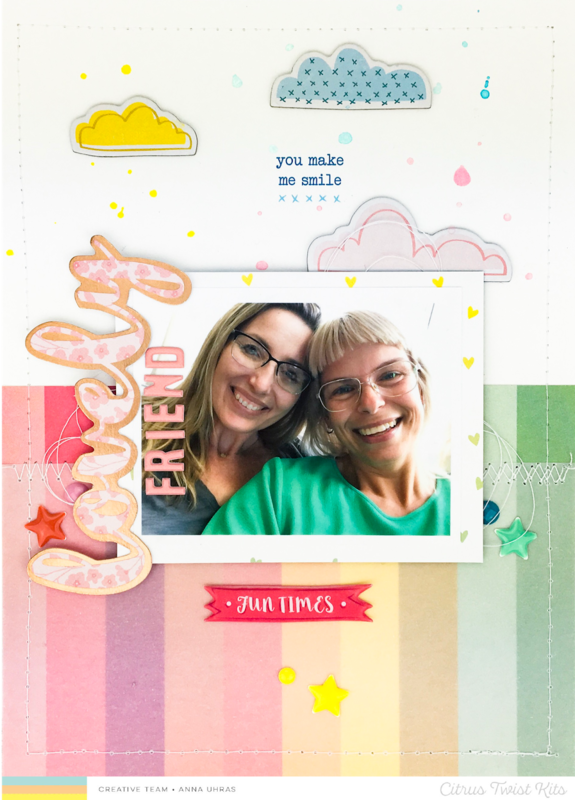 That is why, I hope that you are now feeling inspired to take today’s sketch and get crafty with your beautiful “Sunshine In My Soul” kits. 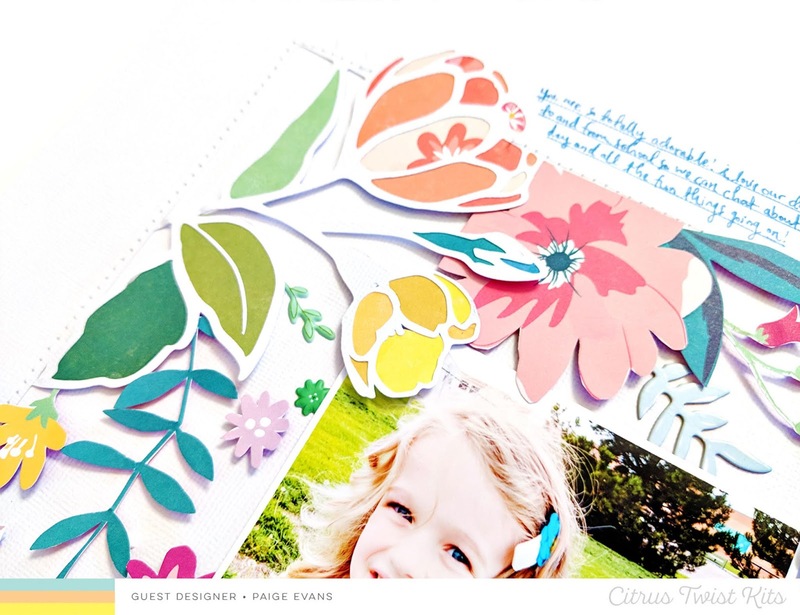 Don’t forget to come and share your beautiful creations in our CTK Facebook Fan club! Thanks for stopping by today. Be back soon, and have a happy weekend. Happy Saturday scrappy peeps! Hope you're all having a fab start to your weekend. 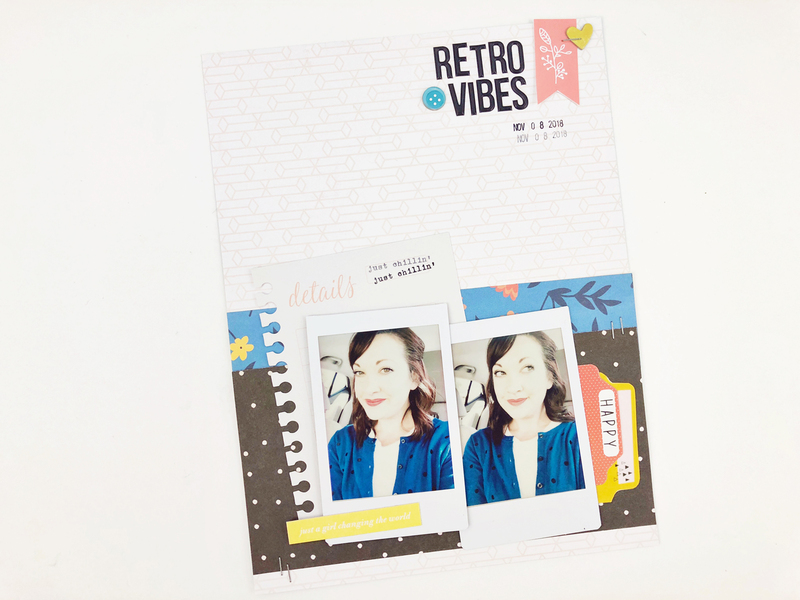 I am up with a 3 to Inspire challenge today using the lovely November PL Kit. 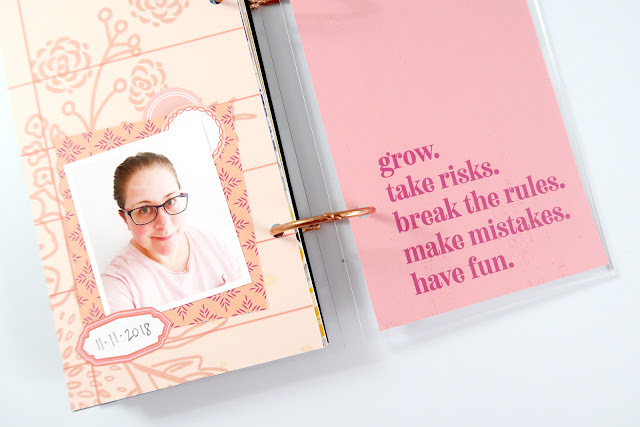 I had fun getting creative with my journaling this month, it's nice to change things up a little bit and try something quirky every now and then! 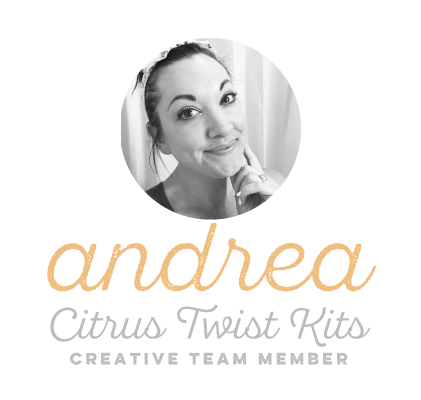 I love that the Citrus Twist PL Kits include patterned paper - I think it makes the kits so flexible and allow you to create your own "journaling cards" using the paper. 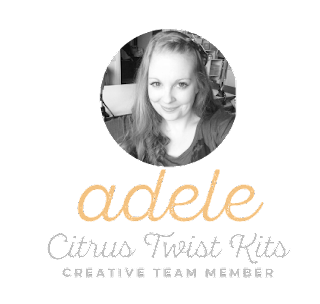 I'd love the hear if you play along with my 3 to Inspire challenge - make sure to tag me and Citrus Twist Kits if you share them on social media! 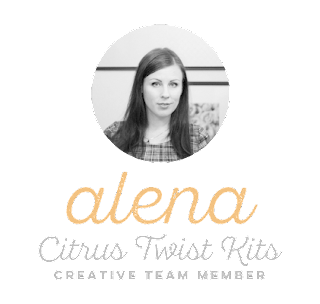 Alena here with Pocket Life Challenge for you! Today I have a little idea to change your Project Life. In my spread I used the wonderful November "Sunshine In My Soul" Pocket Life kit. In my first spreads of the Project Life I used layering. Later my style began to look like minimalism. I want to try again to make my cards detailed and interesting. Use more Die-Cuts, scraps of paper. My photos are very colorful, so it was difficult to pick up embellishment. Also try not to use more than three colors. Add accents with double machine stitching. 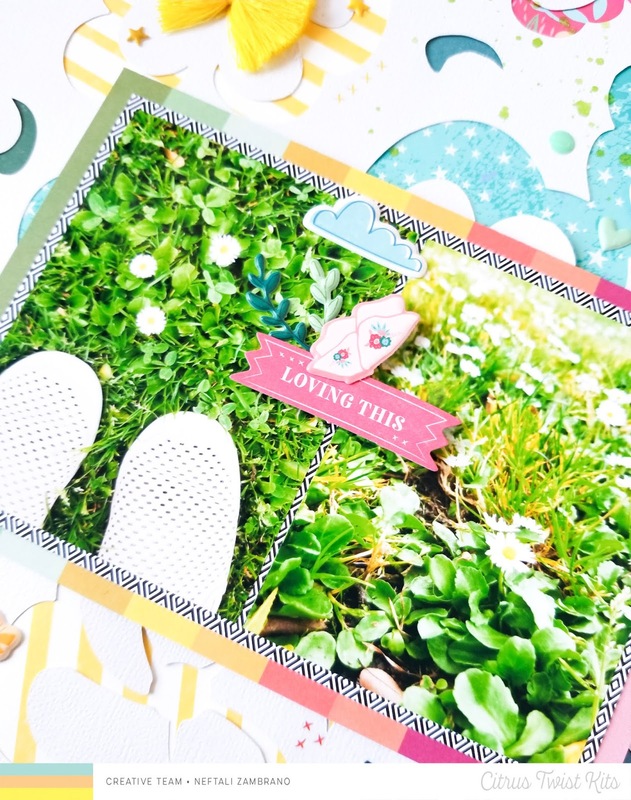 Use layering for your cards. I hope you have a crafty weekend! Pocket Life Challenge with Candace . 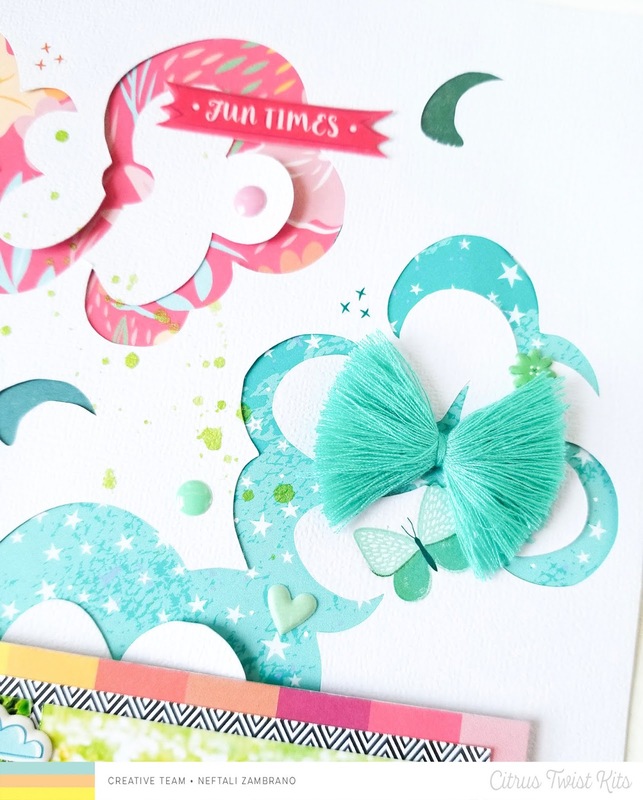 A Whimsical Tuesday Tutorial with Amanda Baldwin!